Dolly is the most honored female country performer of all time. Achieving 25 RIAA certified gold, platinum and multi-platinum awards, she has had 25 songs reach number 1 on the Billboard Country charts, a record for a female artist. She has 41 career top 10 country albums, a record for any artist, and she has 110 career charted singles over the past 40 years. All-inclusive sales of singles, albums, hits collections, paid digital downloads and compilation usage during her Hall of Fame career have reportedly topped a staggering 100 million records world-wide. She has garnered 7 Grammy Awards, 10 Country Music Association Awards, 5 Academy of Country Music Awards, 3 American Music Awards and is one of only five female artists to win the Country Music Association’s Entertainer of the Year Award. Dolly was inducted as a member of the Country Music Hall of Fame in 1999. And the litany goes on. 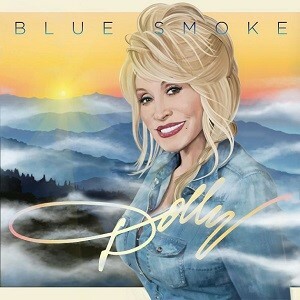 Dolly’s career has spanned nearly five decades and is showing no signs of slowing down. An internationally-renowned superstar, the iconic and irrepressible Parton has contributed countless treasures to the worlds of music, film and television. Some of her hit films have included Nine to Five, Steel Magnolias, The Best Little Whorehouse in Texas , Rhinestone, Straight Talk, and Joyful Noise. Parton received two Oscar® nominations – one for writing the title tune to Nine to Five and the other for Travelin’ Thru from the film Transamerica.